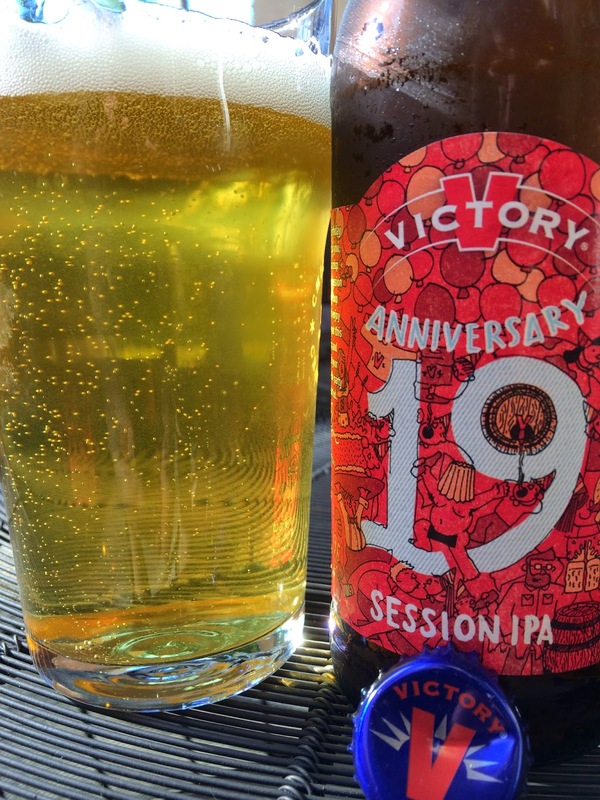 Today I'm checking out Victory Brewing's Anniversary 19 Session IPA. 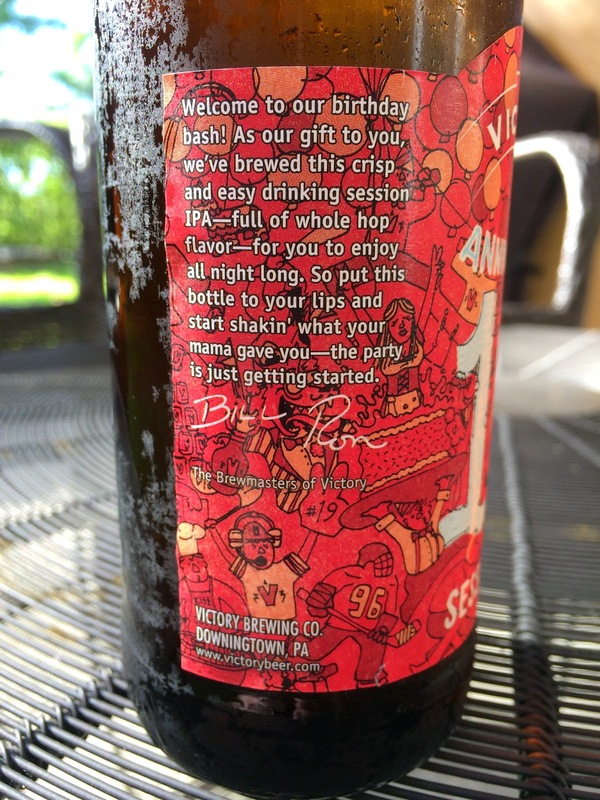 The label has a little story about how this beer is our gift for their birthday bash. The label art reminds me of a puzzle--lots of little things going on with lots of details. Hundreds of thumbnail sketches of dogs, hockey players, pretzels, balloons, cheerleaders, etc. Very fun! 4.5% alcohol. Enjoy by 9MAY2015. Very nice aroma, full of pineapple, fresh and hoppy, light pine. Great tropical orange and pineapple flavors come first with an initial sweetness. A citrus and resinous pine bitterness does answer though. Sweet and bitter. Juicy. Lightly spicy. Carbonation is good. Quite flavorful and I could easily drink a lot of these. Definite winner. Happy Birthday, Victory!